We recently stumbled across a great vermicomposting success story featured on Slate.com by Catherine Price of Philadelphia, PA. We thought it was a terrific success story and would like to share some of the highlights from her article. In it, she describes her dilemma of wanting to do the right thing by minimizing trash and being eco-friendly, but not having to deal with rotting food scraps. 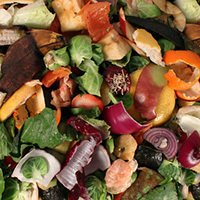 Normal composting bins rely solely on microorganisms to break down food scraps. 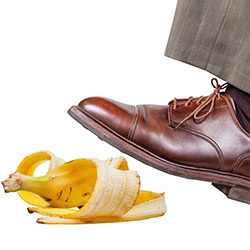 It’s a long process that requires active maintenance, but vermicomposting is a different story. It’s a faster process that requires less maintenance and the final product is far superior to traditional composting! So the answer to her dilemma was red wigglers from Uncle Jim’s Worm Farm. Catherine put it perfectly when she said, “Vermiculture is like normal composting, turbocharged”. Red wigglers are the greatest composters on earth! They’re pros at creating useable, fresh and nutrient-rich compost that can help your house plants and garden flourish. 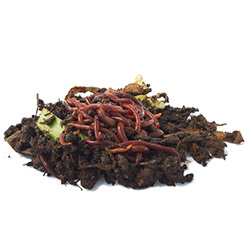 Composting with worms is the best way to make use of old food scraps. It feeds the worms, which in turn, gives you nutrient-rich castings (worm poop) that serve as compost. Around here, we call it Black Gold! It’s a step in the right direction in helping to take care of our environment! 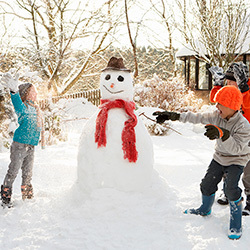 Like some gardeners and plant enthusiasts out there, the thought of keeping up a worm farm with as many as 10,000 worms in it can be a little overwhelming. Catherine found a boost of confidence when she ordered the Worm Factory, which makes managing the bin a breeze. It’s specially designed to house worms and stay aerated and well balanced. That way, you can go about vermicomposting in a idiot-proof, worry-free way! There are several DIY worm farm tutorials out there, but they require more maintenance and upkeep than the famous Worm Factory. Too many DIY projects have failed, resulting in a bin full of stinky, rotten food and dead worms. 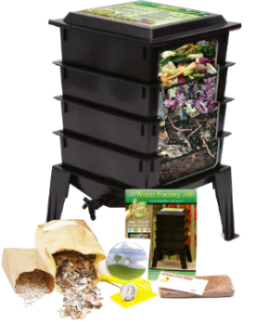 If you’re tired of throwing useful food scraps into the kitchen trash, and would like to reap the benefits of vermicomposting, then order a Worm Factory today! It’s a sure way to get rich, dark, earthy compost for your garden. The best part is that it’s totally idiot-proof, low-maintenance and worry-free! Check out our high quality Worm Factory! What Are the Different Kinds of Composting?